Biomedical systems are developed via interdisciplinary approach under the fields of one or more of electrical, electronics, mechatronics, biochemistry, bioengineering as well as biomechanics, informatics and nanotechnology. Determinating the spatial coordinates of the electrical activity centers in the human brain is called source localization. During the localization, electrical potential measurements (EEG) are collected upon the surface of the head. 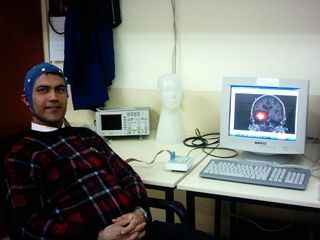 Besides, the coordinates of the EEG electodes should be fed to the localization software as accurate as possible. 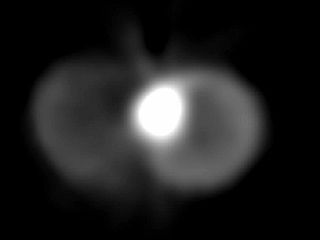 The accuracy of these coordinates is affected by the skill of the personnel as well. 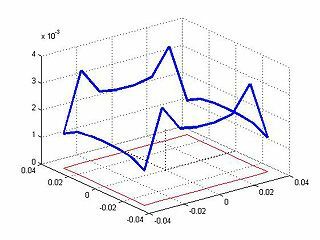 To decrease the errors in the localization, a novel system utilizing single camera and automatic electrode identification has been designed and developed. Research papers have been published. On the surface of the human brain, spreading cortical depression (SCD) is a phenomenon which is observed by diminishing EEG activity that starts at a point and spreads onthe surface of the rain. 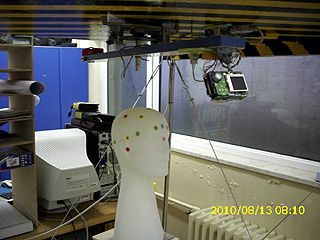 Simulation software, both on animal brain as well as human brain have been developed by using computer infrastructure in the laboratory. 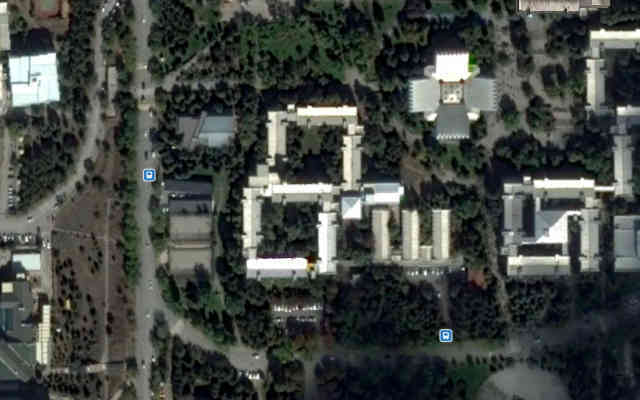 Posibly the most popular imaging technique, magnetic resonance imaging (MRI) and physological imaging modality (scintigraphy) images were fused by using a software developed in this laboratory. 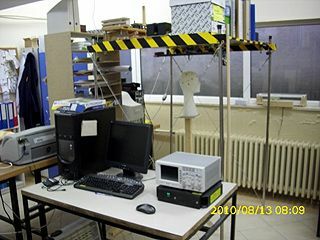 In this laboratory, pulsed magnetic field theraphy devices are also developed to explore the effects to the tissues. These devices were used in various studies in dental medicine to investigate titanium inplants and tissue bindings. 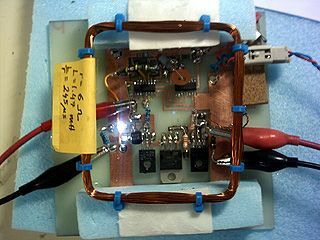 Electronic hardware that are producing pulsed electromagnetic fields, have been designed and developed. Their extra low frequency (ELF) magnetic flux density and magnetic field intensity distributions have been calculated by computer simulations. 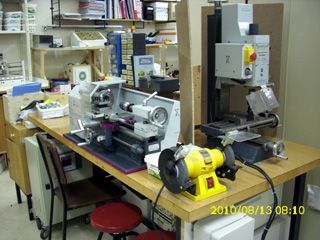 Advanced research projects have been completed and the equipment from these projects are in use in the labortory. 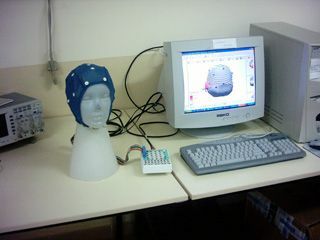 Among these equipment, one can coount computer controlled digital EEG data collection unit, EEG head caps etc are used in the laboratory. In the corner of electronic circuit production area, one can find various classical electronic componentsand SMD (surface mount) components. 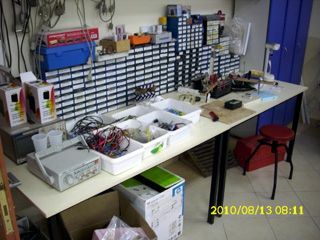 These are used to prepare units for electronic hardware projects. 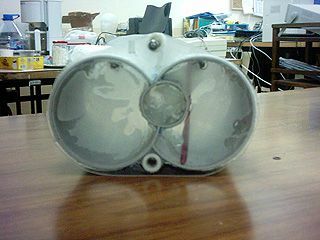 0-3 Tesla DC magnetic measurement can be made by gaussmeter and a home-made localization table (belonging to Dr. Baysal). 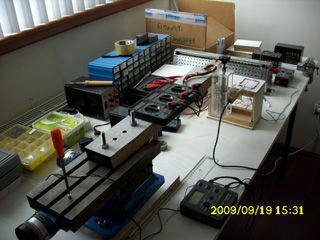 Electromechanical units are easily built by using table-top lathe and fraser.